On Monday night Donald Trump unveiled his second Supreme Court nominee in as many years. He did it in a splashy primetime ceremony that was wholly out of proportion to any actual news value. The fact that TV networks continue to cater to Trump’s insatiable appetite for attention is one of the most troubling failings of the media in the Trump era. The unveiling of Judge Brett Kavanaugh went off as expected, so long as you were expecting a rose granting ceremony on the finale of The Bachelor. Trump gave a speech that could have been written by a computer programmed to emulate Republican talking points. And Kavanuagh’s address could have been copied verbatim from “Right-Wing Judicial Nomination Speeches for Dummies.” The whole event was a predictably partisan political sham that wasted everybody’s time. Well, except for Fox News. The reason that Trump requested this primetime slot was solely to boost his favorite cable news network and, not coincidentally, right during the time period of Sean Hannity’s show. It worked. The ratings for the Trump infomercial spiked for Fox News with 6.6 million glassy-eyed Deplorables glued to their sets. 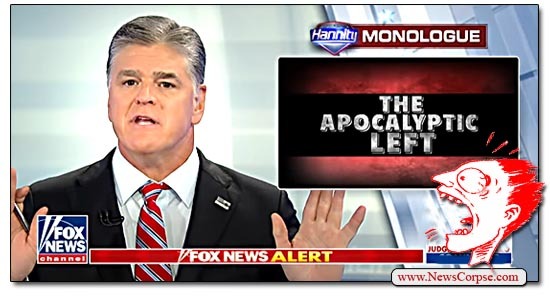 Coming from someone who is casting Democrats as the harbingers of the apocalypse, it’s hard for a rational person to take Hannity seriously. 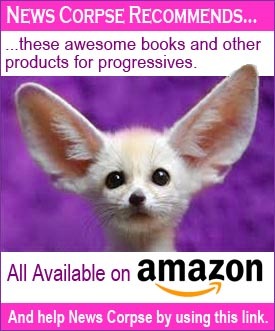 Likewise, the accusation by someone on Fox News that Democrats are employing an echo chamber is hysterical. But he was just getting started. He went on to play some clips from CNN and MSNBC of people with criticisms of Trump and his potential nominees. The striking thing about these clips is that none of them were remotely apocalyptic or insane. Each one exhibited a rational – and truthful – argument against Trump’s shortlist of Supreme Court candidates. And while Hannity blasted these criticisms in the most hostile terms, he never offered a single substantive rebuttal to any one of them. Following that intellectually vacant harangue, Hannity reminded his viewers of the confirmation fights that occurred during the nominations of Robert Bork and Clarence Thomas. He felt that it was important to show how committed Democrats were in opposition to such strident and extremist conservatives. Funny thing though, Hannity didn’t bother to show any examples of Republicans viciously maligning – and lying about – the nominees of Democratic presidents. In short, this televised tantrum was fairly typical of Hannity’s nightly bluster. He was even kind enough to provide a summary of what makes the GOP so offensive and out of touch with most Americans. In an attempt to dismiss liberal critics, Hannity noted that criticisms of Kavanaugh would fit the mold wherein his rulings would “lead to dirty air, dirty water, the rise of racism, sexism, misogynism, etc.” Exactly. Thanks for that succinct rundown of the Republican agenda and what we can reasonably expect from Kavanaugh if he is confirmed. 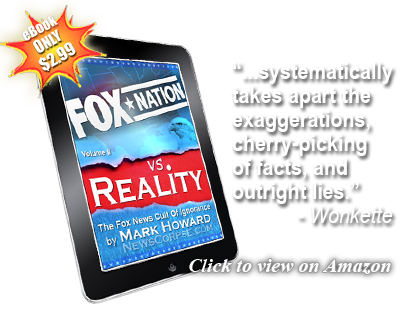 There is no “news” at Faux…they have deranged talking points that they use as a psychological hammer on their drones. Man, it must be difficult for hannity to talk at times. You know, with stroking dump’s…tie with one hand, and washing dump’s…rubles, in his mouth, all the time. Nothing else need be said about the shill for the rabid (wrong)right.